The winter has been very persistent where I live up in the northwest corner of Michigan’s mitten, but right around this time I start dreaming of planting seeds and gardens. 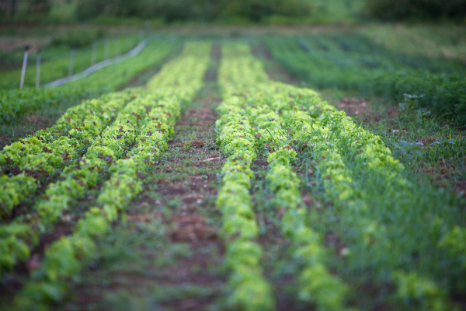 Our farmers, however, have been working their winter plans since their last harvest of the fall. By now, they most certainly know what and how much they are planting—provided the snow and ice does recede and we are released from winter’s clutch. So, how do farmers figure out what to plant? The market drives a lot of it. But, are they doing a CSA (community supported agriculture) program? Do they sell at farmers markets? Are they larger and selling to regional markets or growing and selling direct to retail chains? Whatever their market is, they are forecasting volume needs and planting accordingly. Are you accurately tracking the volume of items that your offer on your salad bar? Do you want to convert at least some of those ingredients to locally grown? If you are lacking good records you can still forecast a reasonable ballpark volume in order to negotiate with potential growers. On The Lunch Box, we have a step-by-step guide to analyzing your historical data with the purpose of planning for salad bar purchases. Keep in mind that buying from a local producer will require different considerations than how you may have purchased something in the past. For example, if locally grown carrots are going to be available in your area but you’ve been serving pre-cut carrots forever—you’ll need to figure out how much edible product (EP) whole carrots will produce. The USDA Food Buyers guide is one of the best tools around to use for product yields. How do you find farmers? How do you evaluate a farm to be a procurement partner? How do you prepare a Request for Information or Request for Proposal? Is your process for local procurement going to be formal or informal? Can you get local foods through your DoD Fresh provider? All the answers to these questions and more can be found in the Local Procurement area of the Lunch Box and excellent step-by-step trainings can be accessed through the USDA’s Farm to School webinars. Consider taking advantage of CAF’s newest grant opportunity: Project Produce, which supports $2,500 cash grants to offset the cost of purchasing fruits and vegetables specifically to be used in nutrition education and food literacy programming. It’s a perfect opportunity to combine education with local procurement.